This custom is nowadays associated mainly with Scotland, but in the 19th century it was known and practised over most of England as well, although clearly taken more seriously in the northern counties. In broad outline it was very similar everywhere – the first person to come into the house after midnight on New Year’s Eve had to have certain personal characteristics and to conform to certain rules in order to bring luck to the house for the coming year. The details of the custom, however, vary considerably from place to place, and there seems to be no discernible pattern. In most places the first-footer must be dark haired, or dark skinned, but some insisted on a fair haired or light complexion. Almost invariably, a male first-footer was required, and some stipulated a married man while others required a bachelor, while some say flat-footed or crossed-eye people must be avoided. It was common for the first-footer to carry symbolic gifts – bread and coal being the most common commodities, but whiskey, and “something green” (i.e. alive) were also popular. In some areas, the first-footer was called the “Lucky Bird”. 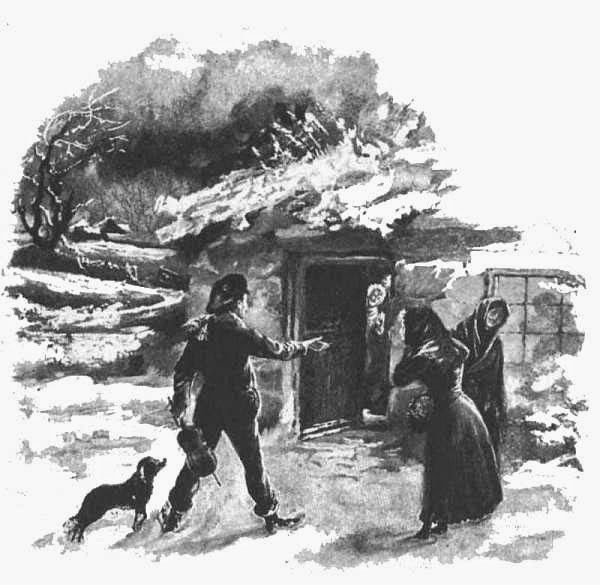 On entering, the first-footer would sometimes remain silent until he had poked the fire, or had placed coal on it, and several references maintain that he should enter by the front and leave by the back door. A simpler way of ensuring luck was to open the front and back doors to let the old year out and the new one in. In almost all cases the first-footer was rewarded with food, drink, and/or money, and people who fitted the local idea for first-footer often made a substantial sum by going from house to house (by arrangement) early on New Year’s Day. The seriousness with which some people took the first foot rules is evinced in various sources […]: reporting on a trial in Mansfield (Nottinghamshire), and explaining why a young woman was walking the streets at one o’clock in the morning, it was stated that she had returned from the midnight service at her local church but her mother would not let her into the house until her father or brother came in first, which was some hours later. The same journal reports a farmer who could not get into his own house on New Year until someone with darker hair came hours later. Who was the first person to set foot into your house this morning?